A beautiful way to make a statement that you're uniquely one of a kind! The ear cuff is wire wrapped in Sterling plated wire, with an extra hook wrap near the top for extra security. Sparkling glass and Swarovski crystals in twilight colors are woven in, with accenting onyx beads. The matching, wire woven earrings have Sterling silver French hooks, and complete the look. 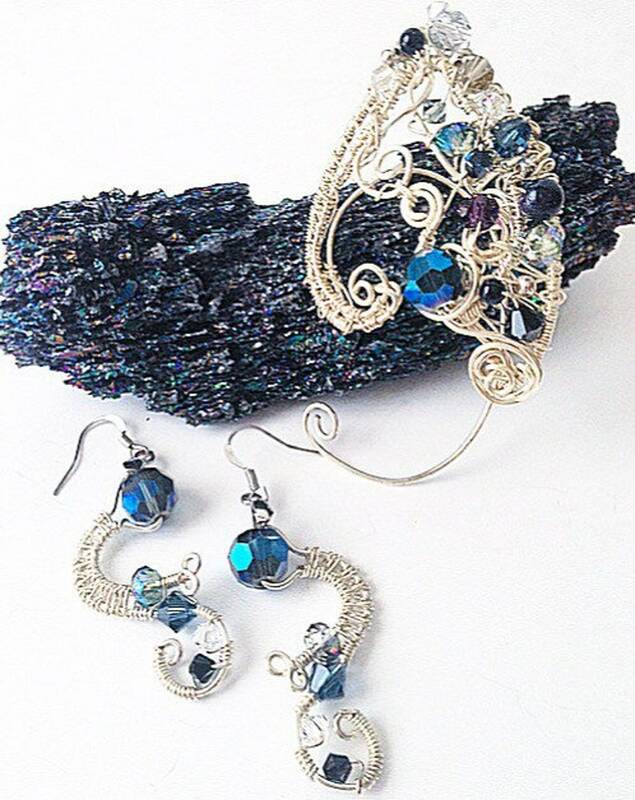 This set is the perfect finishing touch for your party and formal wear ensembles.